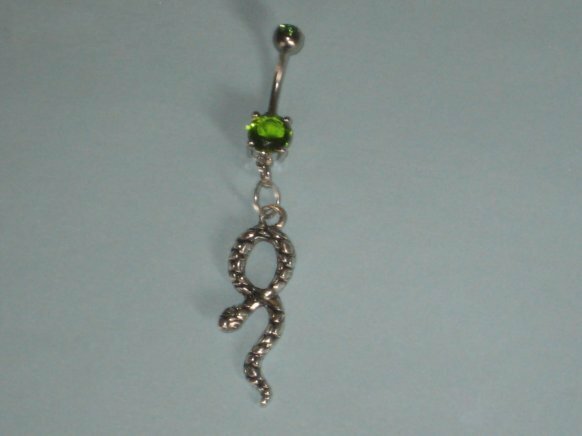 You will love this sassy snake belly piercing! Its very unique and different! This Emerald Green belly DANGLE will draw a lot of attention to your piercing. FREE SHIPPING! !